How to fight the business bulge and keep it off! Everywhere you turn these days, people are having conversations about improving productivity. From mobile phones and apps to telecommuting and BYOD, offices everywhere are trying to figure out the best way to streamline operations and keep their employees productive. Providing employees with the right tools and resources is essential to improving office-wide productivity. Underscoring this importance is a recent survey from Staples Advantage, which uncovered surprising results after asking office workers about what helps and hinders their productivity. They found that 31% of office workers cited technology limitations as the major reason for decreased productivity in the workplace. However, lagging technology tools are just one impediment to reduced productivity. Organizations of all sizes continue to struggle with fighting the business “bulge” that minimizes efficiency – from excess paper waste to lack of mobile-ready resources. Whatever the aliment, this bulge creates inefficiencies impacting all lines of business. Here are three no-trick, easy-to-implement resolutions organizations large or small can quickly put into place to help combat the business bulge and streamline productivity. - According to the Gartner Group, the annual growth rate for amount of paper produced by the average company is 25%. A quick, simple solution to reduce paper waste is to deploy e-Signatures. Legal, secure and cost effective, an automated e-signing solution lets businesses instantly send, sign, track, and file documents securely online – significantly reducing excess paper use. For example, Adobe’s EchoSign solution helped St. Charles Health System transition from a 100% paper-based system to a 98% paperless system, also resulting in a 40% productivity increase among hospital employees. - Enable workers to conduct business more efficiently anywhere, any time and on any device they prefer. Currently, nearly 3.3 million people in the U.S. work remotely, with that number only expected to increase according to Global Workplace Analytics. With large percentages of the mobile workforce rising, deploying business solutions that enable secure communication and access to information anywhere and on whichever device users prefer is no longer optional. Consider deploying technology tools to help workers on the road including cloud-enabled storage platforms, such as DropBox, acrobat.com or box. - Having the latest and greatest devices and technology is a great competitive differentiator, but can be a real headache if vendor’s technology solutions don’t work together. Look for opportunities to invest in integrated, end-to-end solutions, not only to spare frustration and the expense of your IT department, but to also prevent any unexpected burdens for customers. Additionally, having integrated products and solutions can come in exceptionally useful in any disaster recovery efforts. productive and efficient workplace need to prepare now for the coming changes. Given that PricewaterhouseCoopers found in a recent report that three-quarters of Millennials believe that access to technology makes them more effective at work, companies should consider embracing the above tips in order to best prepare for the future to empower their modern workforces. From reducing a reliance on paper, to enabling BYOD to supplying the necessary tech tools – companies that beware the business bulge now will help to ensure a more productive workplace in the future. 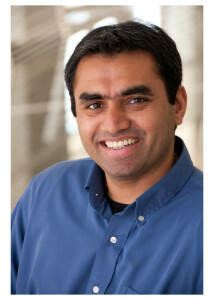 Mangesh Bhandarkar is director of product management for EchoSign at Adobe Systems Incorporated. He is responsible for product management of all aspects of the EchoSign service including web, mobile, desktop, APIs and 3rd party integrations. He previously held product management positions at several software-as-a-service application providers, including Arena Solutions and Grand Central Communications.